Dreft® Ultra Laundry Detergent. 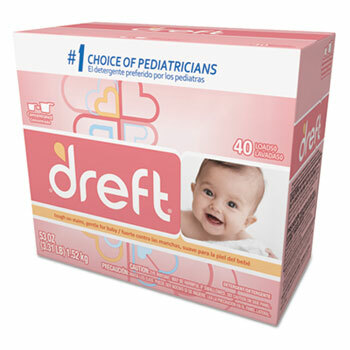 Trusted for over 75 years, Dreft® detergent, formulated for washing baby items, is as "gentle as a mother's touch". Special formula eliminates tough soils while leaving clothes soft and fluffy. May be used as a pre-wash treatment for stains and spots.